I didn’t think that I would actually like this show, but when Candace Cameron Bure got on the show, I was hooked. Now, I watch the show faithfully, reluctantly, working up to almost the same level of excitement as my Mom by the end of the show. Of course, now I’m watching because they have two of my favorite stars on, Alfonso Ribeiro and Tommy Chong. Come on, how could you not like these guys? Carlton and Chong? Couldn’t help but watch. I had been hoping that Alfonso would do a Carlton dance routine and sure enough, he obliged all of his loyal fans from “Fresh Prince”. Apparently, the “Carlton” must be a really hard dance to do because he couldn’t even get his dance partner Witney Carson to get it right. I never saw her move so stiffly before. I felt kind of sorry for him though, since that role that he played so well type-cast him and stunted his career. I’m pretty sure that I saw some reluctance on his face just after taking us back with the dance. Tommy Chong surprised me, I thought he would be more funny. Guess spending two years in prison for transporting bongs across state lines would kind of subdue your sense of humor. Feel really sorry for him about that. From what I understand he took the rap for his son, who was only delivering for Tommy’s bong business. What a country we have. Anyway, he can still move for a guy his age which I find admirable. Seems like his partner likes him quite a lot too, maybe a little too much for the likes of his wife. Reminds me of another star who just got kicked off, Leah Thompson. I’m of the opinion that she’s thoroughly scratched her “seven-year itch”. Lea Thompson, I was so in love with her back in the 80’s. Not so much anymore. When she first came on the show, I was hoping for a replacement to stop my pining for Candace Cameron of season 18. Candace just had such a bubbly personality that you couldn’t help but adore her, a real American sweetheart. Not only that but she’s a devout Christian too! I was hoping that Lea might somewhat be like her but it just wasn’t happening. Not the same charisma nor the same dancing ability. Candace was an awesome dancer. 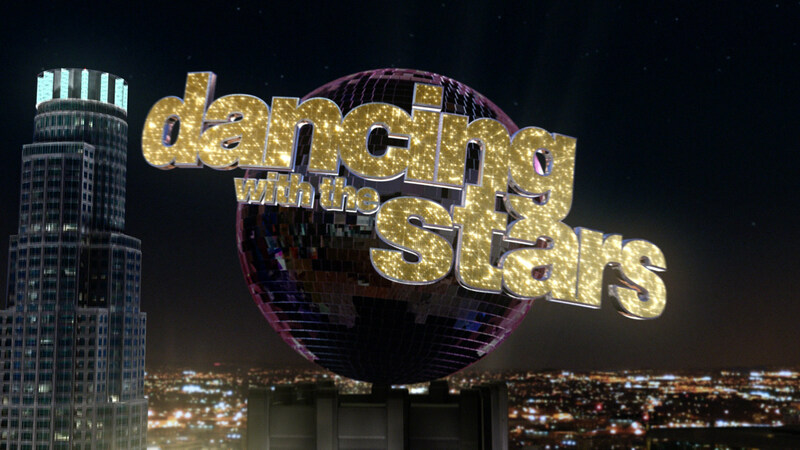 Among the pros on the show, I would have to say the best female dancer left is Peta Murgatroyd. I like her, she wears her heart on her sleeve and isn’t mean. She takes it easy on Tommy and keeps it fun. Very good dancer too. Like I said, I think she really likes Tommy a lot, I kind of saw her face fall when Tommy said he loved his wife. Same thing with Alfonso’s partner when he proclaimed his love for his wife too. Isn’t hard to image that some feelings develop when spending that much time together. The costumes have been OK. Mark Ballas really went all out with his Halloween get up as a Zombie. Among the male pros I think that he is the best although, he kind of lost points with me due to his attitude on this latest episode. His partner, Sadie Robertson, is the granddaughter of the Duck Dynasty geezer. She is a Christian as well and I love her family values, especially to be so young. Well, tonight during the end part of her last dance she forgot her steps and improved to finish. No one could tell that she had messed up and the judges gave all three of them ten’s, but Mark was visibly angry. Sadie started crying and even though Mark comforted her adequately, I felt that his attitude was unduly harsh. You could see that he was angry. I wonder if it was due to them dancing with another pro. You could also tell that he wasn’t satisfied with her performance because he was apologizing for her BEFORE the dance even began. “You can’t expect her to look as good as a pro when dancing side by side”. I wonder what was going on during rehearsals that made him say that. Was she being a normal teenager and slacking off? irregardless, I still don’t think he should have been that mean. Finally, Cheryl Burke. What can I say? I don’t like her, thank goodness she got the boot early on. She had a dance studio in San Francisco a few blocks from where I lived and I had thought about taking lessons. Just recently threw away the brochures. I couldn’t reconcile how she had an affair (messy one too) with former contestant and winner Nick LaShea. She’s a cheater, adulteress and home wrecker. That’s about all that I know about DWTS as it’s called. Oh! I almost forgot. I loved it when Leah Reminy came on the show as substitute host. She is one of my favorite comedic actresses and she was so funny on the show. The highlight was when she pelted the face of pro dancer Derek Hough with her microphone when he became speechless. She is such a genius. My only enjoyable moment watching Leah Thompson was when she made a “Leah Sandwich” with Leah Reminy, her male partner in between them. One of the few times that I’ve seen Mrs. Reminy outdone. Foxtrot, Paso Doble, Jive, Salsa, I shouldn’t know these words because I can’t dance a step, but now I do. Oh well, maybe one day I’ll finally take those lessons after all. Finally that is, if the Gang Stalkers don’t get me first.